Our core body temperature drops at night so we can sleep, but many people still sleep hot despite this. So what exactly causes you to sleep hot? One of the easiest fixes and biggest culprits of sleeping hot is the wrong room temperature. Ideally, the temperature in your room should be around 60-68 degrees for optimal sleep. No one likes to sweat, so set a thermostat or run a fan at night to help you sleep better. A hot bed may likely be the cause of those night sweats. Many memory foam mattresses tend to sleep hot if they don’t have layers to allow proper airflow. You don’t want your mattress to trap in moisture and heat from your body since this leads to a restless, hot night. 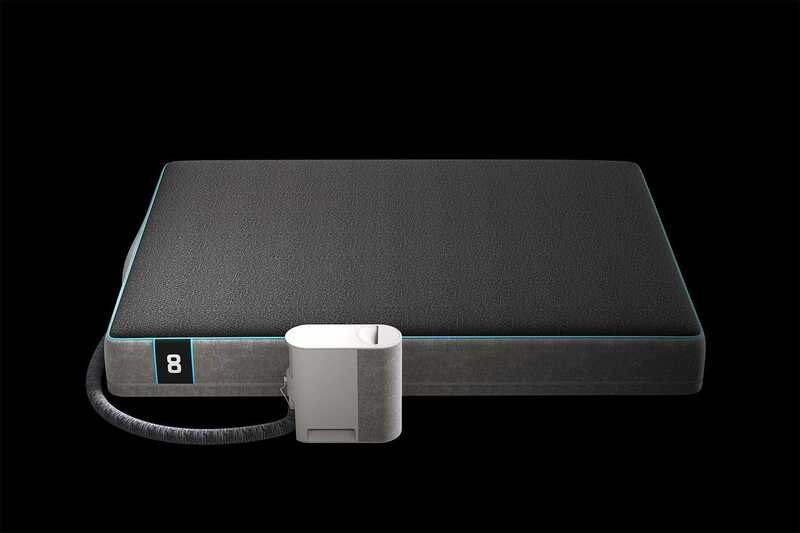 Try the new Pod by Eight Sleep, which offers dynamic cooling and warming ranging from 55 to 110 degrees Fahrenheit. It is designed to help you sleep cool and smart. Silk and satin pajamas and bed sheets may sound luxurious, but in reality they’re not doing you any favors. Substitute unbreathable fabrics for cotton, specifically bamboo cotton, with better airflow to keep you sleeping cool. Eight’s 300 thread count organic cotton sheets are a great option that are not only cool, but comfy as well. Depending on where you live and the structure of your house, high humidity can be a problem in colder months as it is in warmer months. Try using a dehumidifier at night to avoid feeling like you’re sleeping in a Florida swamp. Many prescriptions, especially antidepressants, have the uncomfortable side effect of sleeping hot. Even some basic over the counter pain relievers can produce this side effect in some people. If possible, consider swapping out your medication for a slightly different kind that doesn’t cause a sleep problem. If you try these fixes and still find yourself sweating each night, talk to your doctor since this could indicate a more serious problem.